Carlos Garaicoa casts a critical eye upon the connections among architecture, ideology, and power structures. The question of the guilt and innocence of architectural forms serves as a parentheses for the works that Garaicoa has created for the exhibition in Munich. 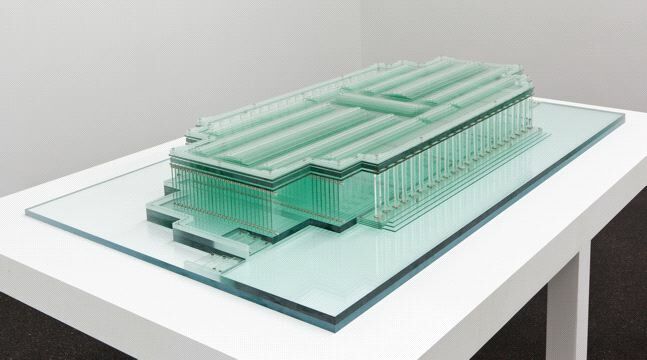 At the center of the show are two iconic buildings, whose symbolic language is exposed by the artist’s deliberate shifts in size and material: the German Federal Bank headquarters in Frankfurt and the Haus der Kunst in Munich.